Includes 3 traditional sauces and 3 bagnas. Give the joy of great flavors to the people you love. 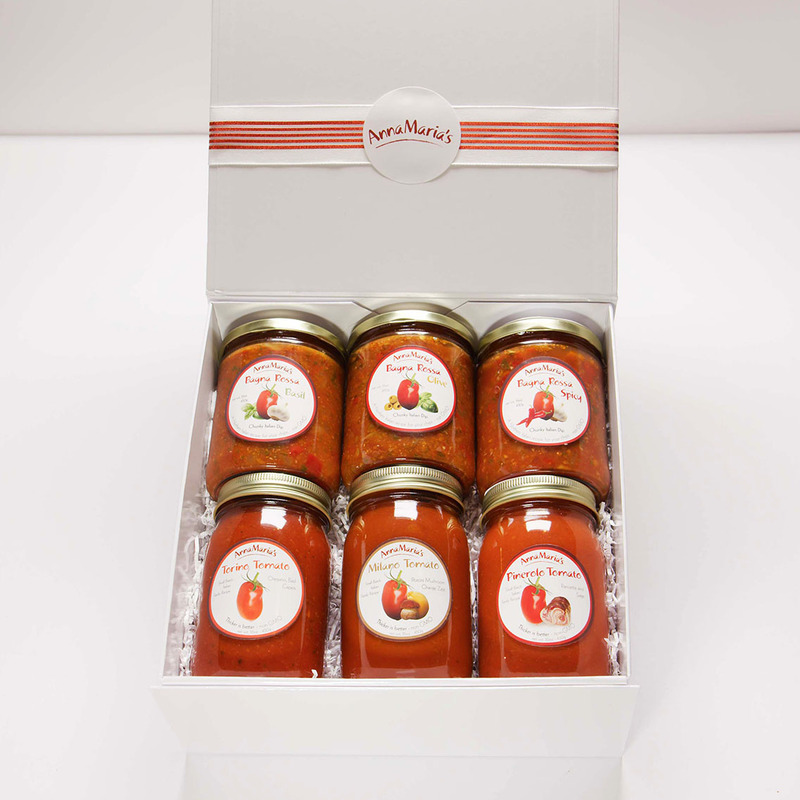 Enjoy all of our traditional sauces and bagnas packed in a keepsake box. You can include a personalized card and shipped to you or directly to the person receiving the gift. Chunky tomatoes, peppers, and onions spiced with garlic and elevated with generous amounts of basil.